For lunch I don’t like eating too heavy, but on an overcast Monday, I’m also looking for something that is comforting. 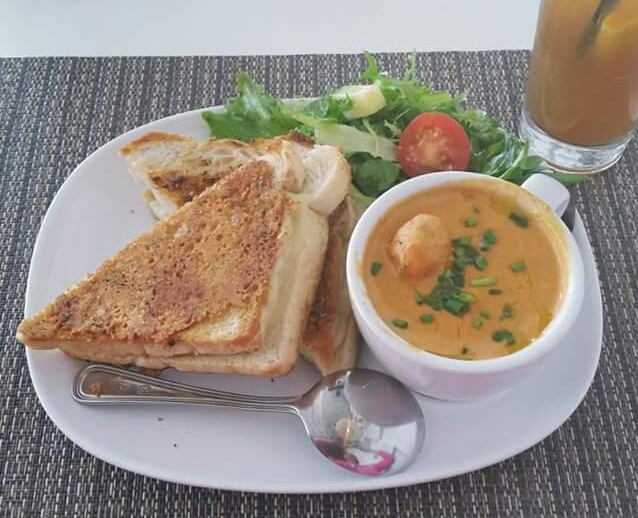 To satisfy this craving I went to SHORE in Saint Armands Circle and had the Parmesan Encrusted Grilled Cheese sandwich served with a cup of Lobster Bisque and Side Salad! This lunch was lite and yummy! I’m a texture person and love the crunch of the parmesan on the grilled bread. It holds its texture even when dipped in the Lobster Bisque! It’s the perfect lunch!!! Affordable too!! !